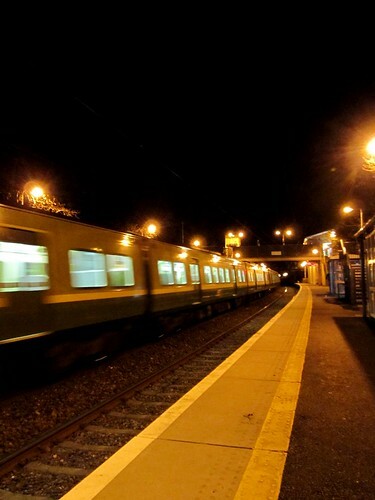 The suburban train system in Dublin is known as DART (i.e. Dublin Area Rapid Transit) and it runs mainly along the coastline of Dublin Bay. On a good day, there’s nothing I enjoy more than to either head northward to Howth and Malahide (pick a seat on the right) or southward for Dun Laoghaire, Dalkey and Bray (now sit to the left), looking out the window and take in the beautiful views of sun, sea, blue sky and rolling landscape. it looks pretty good hehehe…how late is it anyway? this was taken on my way back, and i was on the last DART so about 11.30-ish?